WNY Leading Dunk Tank reental company located in Lancaster NY. 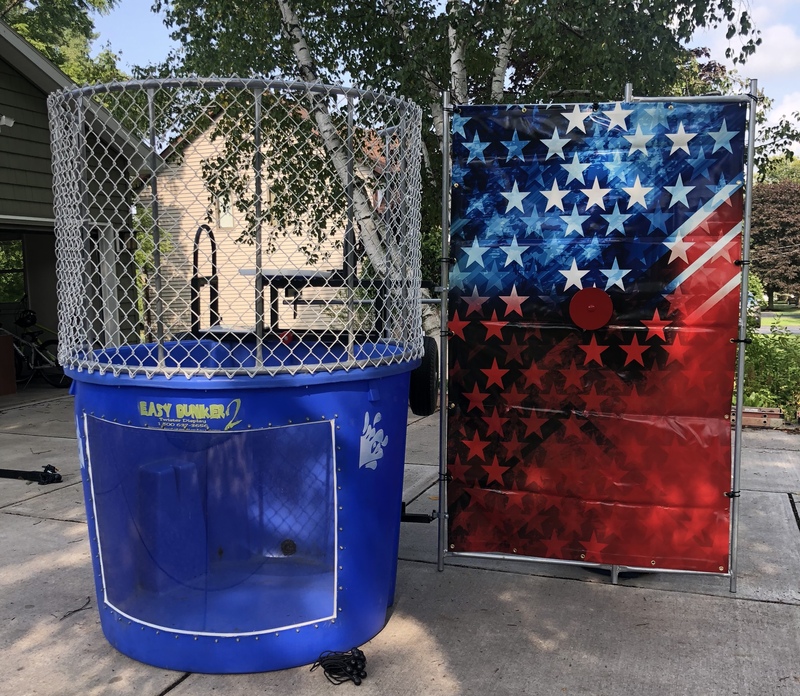 We offer safe, affordable dunk tank rentals all over WNY. Looking for a safe way to earn money at a school event? Dunk the new graduate? Our dunk tanks take care of that! The dunk tanks are made in the USA and are as safe as they come. All dunk tank rentals come set up and taken down for the price listed. We need a 10' opening for all gates to maneuver the unit to the set up location. Bouncing On Air has been renting safe fun for over 19 years now and are FULLY INSURED. Check out our awesome dunk tanks bellow and view the descriptions to see what will fit best for your next party! We can set up all dunk tanks on any flat surface. Grass, Concrete, Blacktop, Sand, Gravel is perfect. All dunk tanks rentals dont supply water so please make sure to have a hose that can reach to the set up location. 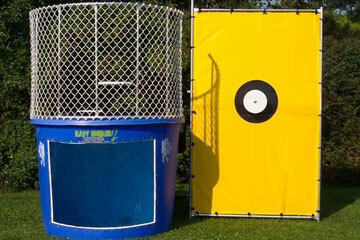 Boucning On Air has a dunk tank for your school event, Brewery Bash, Graduation party, and even church events! Our dunk tanks are great for any small party or corporate event. Get somone who deserves a good dunk and smash the target with the softballs! Our Dunk Tanks are produly made in the USA. We supply the best quality dunk tanks to ensure the riders safety and eveyone at the event. Each dunk tank Holds 500 gallons of water. We must be able to set up on a flat surface. Grass, concrete, rock, blacktop are all acceptable surfaces for our dunk tank. Please notify when booking what surface we are setting up on.